In case you missed it, there is a teacher revolt occurring in your state, or a state near you. Teachers want raises, big ones, and they want them now. It started with a nearly two week teacher walk out in West Virginia for a 5% pay increase and now has emboldened public school teachers in other states like Oklahoma, where teachers continue to threaten to strike even after being given a $6,000 a year bump, to Arizona, where they are asking for an immediate, whopping 20 percent pay increase. Many Americans, including me and other parents of school age children, want to see public school teachers paid fairly. They should be. That is not what this column is about. As they have shown in Oklahoma, teachers – led by their unions – will keep coming back to the table demanding more, even if they are given a 20 percent raise; because these movements are as much about elections as teacher pay. Regardless, teachers deserve a fair process, with a seat at the table alongside each state’s citizenry, elected representatives and school boards in determining current or future pay raises. When that happens, or as various states look at teacher pay, here are five suggestions which are appropriate, responsible, and bring transparency to the use of finite tax payer dollars. First, what is their total benefit package? 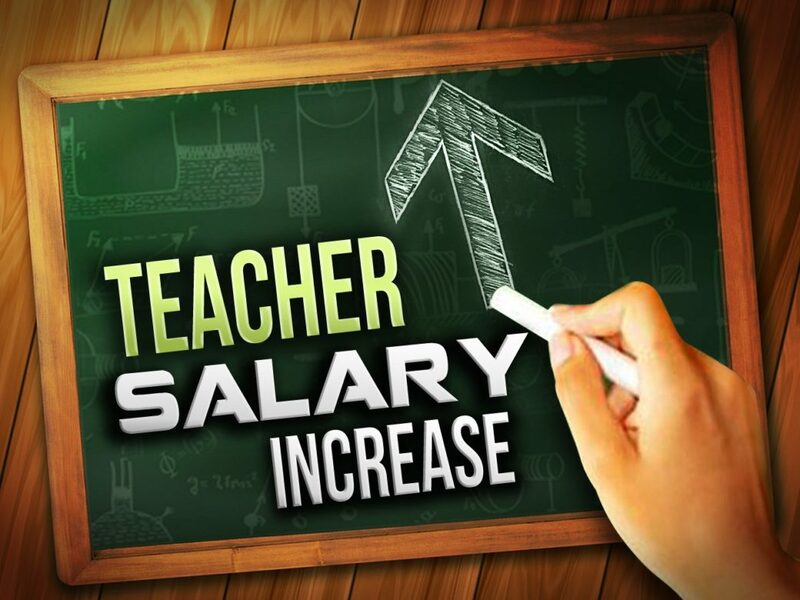 Negotiations on pay increases should always include the costs of benefits attached to a teacher. These include things like sick leave, health insurance, pensions, etc. For example, many public educators have excellent health insurance plans. According to a Henry Kaiser Family Foundation study in September 2017, the “average family premiums for employer sponsored health insurance plans … averaged $18,764” in 2017. Due to the number of public school teachers in your state, they may get a sweeter deal on annual costs. That being said, how does it compare to your health insurance package? We have not even touched upon pensions that are owed teachers. These benefits cost money and should be transparent to taxpayers. Second, what is their hourly wage? When you take out the summer months off, what is their real hourly wage? Like the private sector, some teachers put in tremendous hours, others, do not go above and beyond. So, what is the right average hourly wage? It should be appropriate to a professional, but must take into account total benefits. Third, what percentage of public education dollars actually goes to teachers? How much gets to the classroom, and how much goes elsewhere? The U.S. Department of Education estimates that in most states over 40 percent of public education dollars do not go to teacher’s salaries or into the classrooms. Teachers need to be the priority, and schools need to consider cutting anything and everything else in pursuit of the best teachers. Fourth, what are the sources of revenue for pay increases? Teachers should be part of the budgetary process. Teacher’s unions will yell “that is why we elected people to the legislature,” that is their job. Well, yes, and no. It is their job, but taxpayer money is finite so any raises have to come either through a tax increase, budget cuts, or combination of both. Someone has to sacrifice for their wage increase. The average American pays an effective federal income tax rate of 13.5% and the U.S. Census Bureau estimates that Americans pay an average rate of 9.9% in state and local taxes annually. That is combined 23.5%. tax rate – and that’s before we pay social security taxes, Medicare tax, and sales taxes. If they want these increases to come via tax increases, public school teachers should identify these sources or revenue, how they will be affected, and what changes are required to meet their wage demands. In the corporate world or small business people don’t get pay raises unless there is revenue growth. Barring economic growth, demanding a larger piece of a pre-determined pie means someone else eats less. Fifth, all these points should be laid out in a mailer to every taxpayer and presented to taxpayers in public meetings with appropriate public notification. Now some who do not understand the source of money will argue with these five points. So be it. They are wrong. Teachers should be paid well. They should not only have strong base pay; great ones should have the opportunity to make a lot more. But when considering pay raises, transparency of public education dollars should be part of the process. This goes for all government agencies. So as your state considers pay raises for public education, demand that real costs be brought to light. Leadership is about priorities and it is difficult to define those priorities unless you know the real costs and sacrifices needed.